Tippet Rise Art Center is preparing to break ground for the construction of a new pavilion designed by the world-renowned architect Francis Kéré! 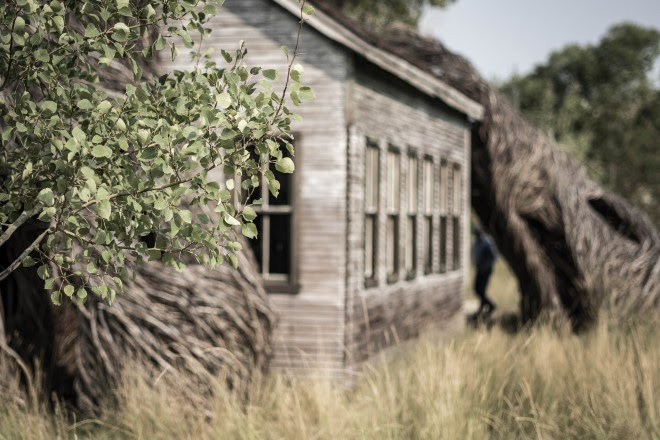 The 1,900-square-foot gathering place will be nestled in a grove of aspen and cottonwood trees between the Olivier Music Barn and Daydreams, the willow-infused schoolhouse created by sculptor Patrick Dougherty. 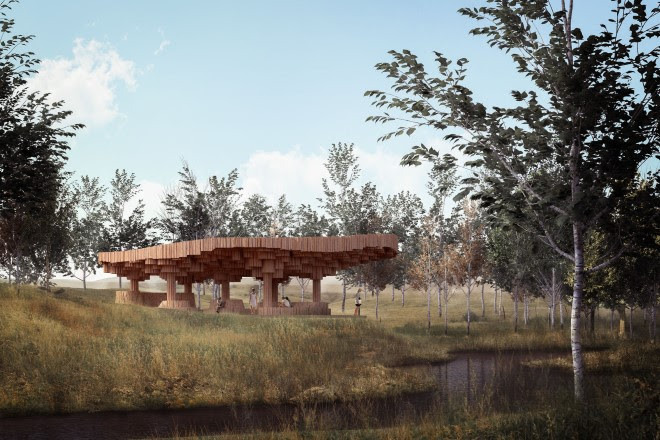 The pavilion’s design is inspired by the traditional togunas of the Dogon culture of Mali: sacred shelters with wooden pillars, carved with ornaments representing the ancestors, and a layered roof of wood and millet straw that allows for protection from the sun as well as ventilation within the space beneath. Tippet Rise’s pavilion will be constructed of locally sourced ponderosa and lodgepole pine; it features a canopy of vertical logs, which will create what Francis calls a “rain of light” effect above the seating areas. The organic shapes of the seating areas are inspired in part by abstract paintings that artist and Tippet Rise co-founder Cathy Halstead created based on the forms of microscopic life, in addition to the sinuous topography of the surrounding hills. Exterior view of the pavilion designed by Francis Kéré at Tippet Rise Art Center in Montana. Rendering courtesy of Kéré Architecture. In keeping with the educational mission of Tippet Rise, the Tippet Rise Fund of the Sidney E. Frank Foundation is supporting Francis in his work to build environmentally sustainable and climatically appropriate schools in West Africa, funding the construction of a new school he has designed in his birthplace, the village of Gando in Burkina Faso. Also scheduled for completion in the summer of 2019, the Naaba Belem Goumma Secondary School is designed to accommodate approximately 1,000 students from the grassy savanna region that surrounds Gando. More details about the school, which is named for Francis Kéré’s father, are available here. We are thrilled to be able to link the creation of the pavilion at Tippet Rise to the school in Burkina Faso, as a way of bonding our two communities. Tppet Rise recently announce that Pedja Muzijevic has been selected as the new Artistic Advisor, succeeding the late Charles Hamlen. 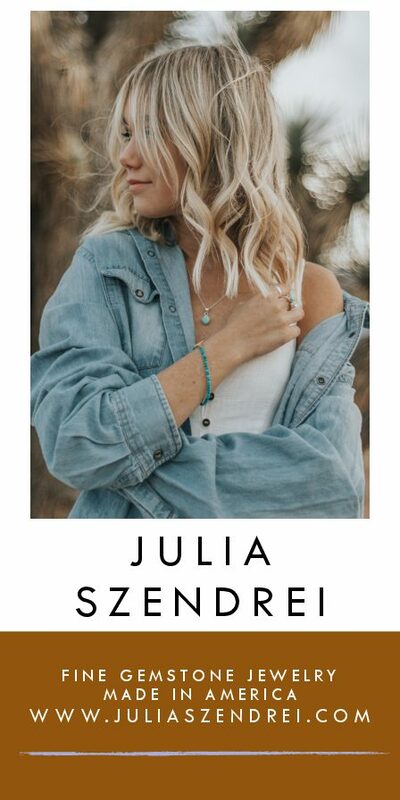 Pedja will oversee the art center’s fourth concert season from July 12 through September 7, 2019. If you have attended a concert at Tippet Rise, Pedja’s name may sound familiar. He has played recitals at Lincoln Center’s Alice Tully Hall and Mostly Mozart Festival, 92Y and The Frick Collection in New York, Spoleto USA, and many others, including at Tippet Rise. His symphonic engagements include the Atlanta Symphony, Dresden Philharmonic, St. Paul Chamber Orchestra, and Zagreb Philharmonic. Pedja is also the Artistic Administrator at Baryshnikov Arts Center in New York and the Artistic Director of Concert in the 21st Century, a residency program at the Banff Centre for Arts & Creativity in Canada. 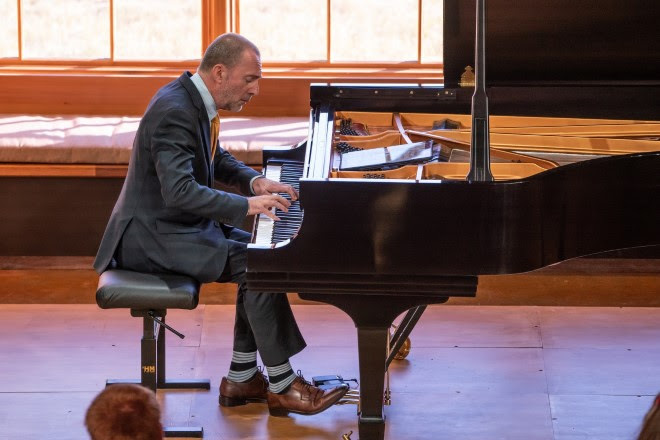 Born in Sarajevo, Bosnia and Herzegovina, Pedja studied piano with Vladimir Krpan at the Academy of Music in Zagreb and came to the United States in 1984 to continue his education at the Curtis Institute of Music in Philadelphia and The Juilliard School in New York. Pedja Muzijevic performing at Tippet Rise Art Center in 2018. Photo by Erik Petersen. Season Four’s returning artists include pianists Stephen Hough, Julien Brocal, and Jenny Chen; violinist Paul Huang; and the St. Lawrence String Quartet and Escher String Quartet. 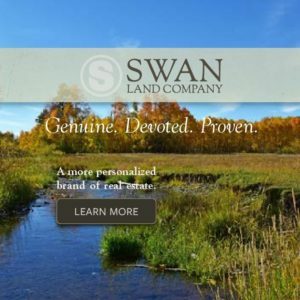 Those making their Tippet Rise debuts include violinists Benjamin Beilman and Jennifer Frautschi, who is a two-time GRAMMY nominee and Avery Fisher career grant recipient; violists Ayane Kozasa and Nathan Schram from the Aizuri and Attacca quartets, respectively; cellist Sæunn Thorsteinsdóttir; oboist James Austin Smith; and bassist Anthony Manzo. These artists will join Pedja for a “festival weekend” featuring five sixty-minute-long concerts with works by composers ranging from Bach, Haydn and Mozart to Luciano Berio and Steve Reich. Piano duo Anderson & Roe, celebrated pianist Behzod Abduraimov, and rising star Aristo Sham are also debuting at the art center this summer, as are the award-winning Gryphon Trio, the Rolston String Quartet, violinist Katie Hyun and flutist Brandon Patrick George. The season will also include the world premiere of a string quartet by celebrated American composer John Luther Adams, performed by the JACK Quartet, which is making its Tippet Rise debut. 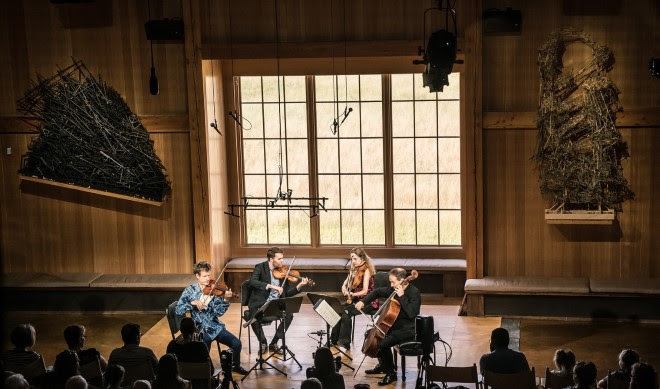 The St. Lawrence String Quartet performing at Tippet Rise Art Center in 2017. Photo by Erik Petersen. Complete program details for the summer’s concerts will be announced online and to our e-mail list via this newsletter in early 2019; the drawing for the opportunity to purchase up to four tickets for the season’s performances will open in early 2019 as well. Tippet Rise will open to visitors from early July to mid-September on Fridays, Saturdays and Sundays. Sculpture tour reservations or concert tickets are required for admission to the art center. We look forward to a glorious 2019 at Tippet Rise and we hope it will include seeing you! As ever, we thank you for your support.